deviantWATCH: A feature that allows you to follow updates from your friends and favorite artists. 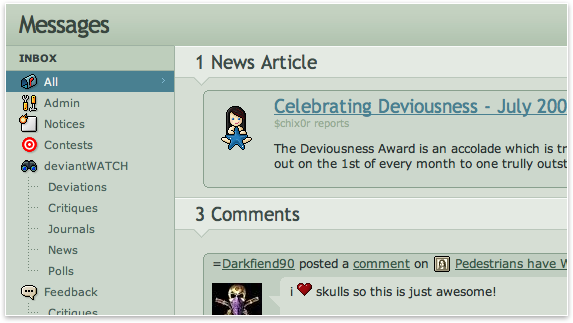 Users who watch you will receive notifications in their Message Center whenever you update your journal, posts new artwork, critiques, or news articles. Get instant updates from your friends and favourite artists with our deviantWATCH tool. 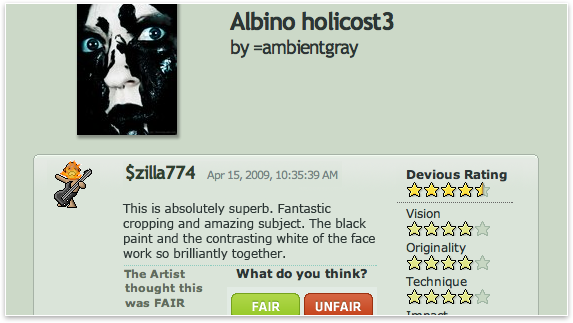 Engage with other artists by commenting on their artwork and profile pages. Send and receive private messages from other artists and friends in the Message Center. Participate in exclusive sponsored art contests with prizes ranging from computer software to cars. 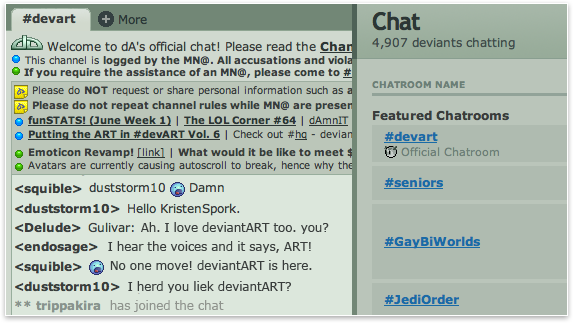 Chat live with other artists and art lovers in hundreds of different chat rooms.